Beautiful home in Bogan Meadows! Cul-de-sac lot and magnificent floor-plan. Hardwood floors throughout the main level. Over-sized sitting room and combined dining room with coffered ceiling. Modern granite counter-tops in the kitchen with a spectacular view into the two story family room! Large master suite and additional bedrooms complete the upper level. Large basement is stubbed for bathroom and ready to be finished. Landscaped and fenced back yard. Award winning Mill Creek School District! I-85 North to I-985 Exit 8 @ Lake Lanier Islands. Turn Right on Friendship Road, 1st Right on Jones Road. Turn Right on N. Bogan Road. Go 1 mile to Bogan Meadows, turn Right. Hello, I’m interested in 4593 Bogan Meadows Court and would like to take a look around. 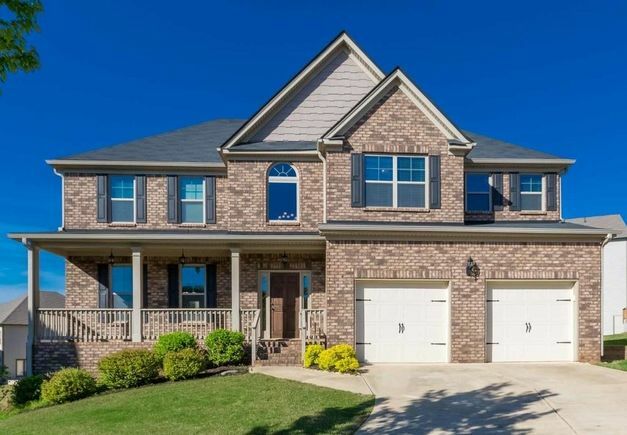 The details on 4593 Bogan Meadows Court: This house located in GA 30519 is currently for sale for $334,900. 4593 Bogan Meadows Court is a house with 4 beds and 2.5 baths that has been on Estately for 5 days. This house is in the attendance area of Glenn C. Jones Middle School, Harmony Elementary School, and Mill Creek High School.